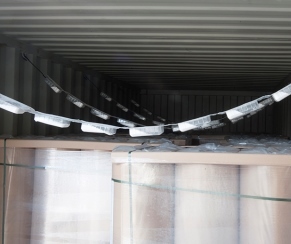 Protecting their products with different types of Absorbents: Silica Gel, Desiccant Clay(activated bentonite), Molecular Sieve, Desiccant for sea containers, Oxygen and Ethilene Absorbers. 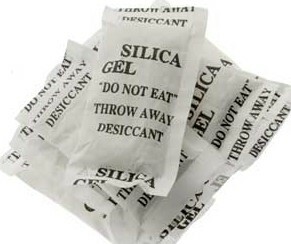 Silica Gel or amorphous silica is produced and presented in the form of hard granules semitransparent. It has a great capacity to absorb moisture and varies depending on environmental conditions. Improved product protection from damage due to moisture, reducing the dew point in the packaging during transport or storage. As a result the product retains its quality, stability and use properties that humidity could modify, alter or destroy. The supply is made both in bulk and in bags or sacks practical. Fabric supply that meets the FDA is also possible. With its small footprint takes up very little space inside the packaging. Desiccant clay or bentonite is a natural product that is activated by specific drying conditions. The product has a high capacity to absorb moisture when activated, varying as the silica gel depending on environmental conditions. Clays and materials are selected to ensure product quality in terms of strength and high levels of adsorption. 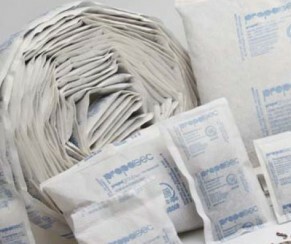 It can be supplied in bags, strings and panels with standard tissue or complying with the FDA. On request can also include a moisture indicator on the packaging to know when to replace the desiccant. Molecular sieve compounds obtained synthetically from zeolites. It is not just a traditional desiccant moisture absorbent but has other applications as a filter for different chemicals. These desiccants are ideal when there is need to adsorb moisture very quickly, since they absorb molecules based on the principle of polarity difference due to the electrostatic attraction and having a uniform porous structure that allows the separation of molecules by size. It comes in bags for packaging arrangement. Anti-dehydrating condensation system capable of reducing the relative humidity keeping it below the dew point. 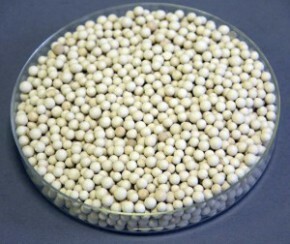 The product is used for drying a mixture of calcium chloride and minerals. With this system excessive moisture is removed protecting the load and avoiding mold stains, moisture, corrosion, peeling labels and other consequences of moisture during transport and storage phases. Easy to install and thanks to the chain version application time is reduced to a few minutes. 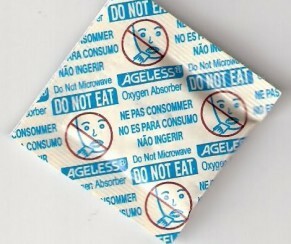 Oxygen absorbers can extend the life of their products. Thanks to the oxygen absorption of food containers left in a nitrogen atmosphere with consequent durability of the properties of the food longer. Absorbent bags are made by oxidizing iron and then absorbing oxygen inside the package. Its use is appropriate in many foods such as meats, pastries, cooked products, bulk products, nuts, pharmaceutical ingredients and other foods. Ethylene absorbers allow extending the preservation of various foods by controlling the rate of ripening thereof. 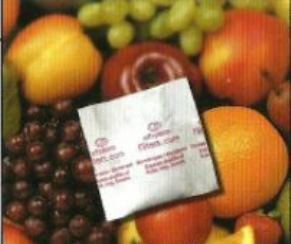 By placing ethylene absorbing sachets fruits, vegetables and flowers packed extend its useful shelf life to remove ethylene emanating from the same once it is collected. Ethylene gas is causing the rapid maturation of many fruits, vegetables and flowers, so their absorption extends the life of these foods. It can be used in various parts of the distribution process, even from origin, in order to control and slow the natural ripening of food. Moisture stabilizers allow to absorb or release moisture in order to maintain relative humidity inside a closed space at a constant value. It is a very versatile product since it can be used for food preservation and pharmaceuticals, for preserving art works and files, or for any other industrial application where it is required to keep the products at a constant humidity. 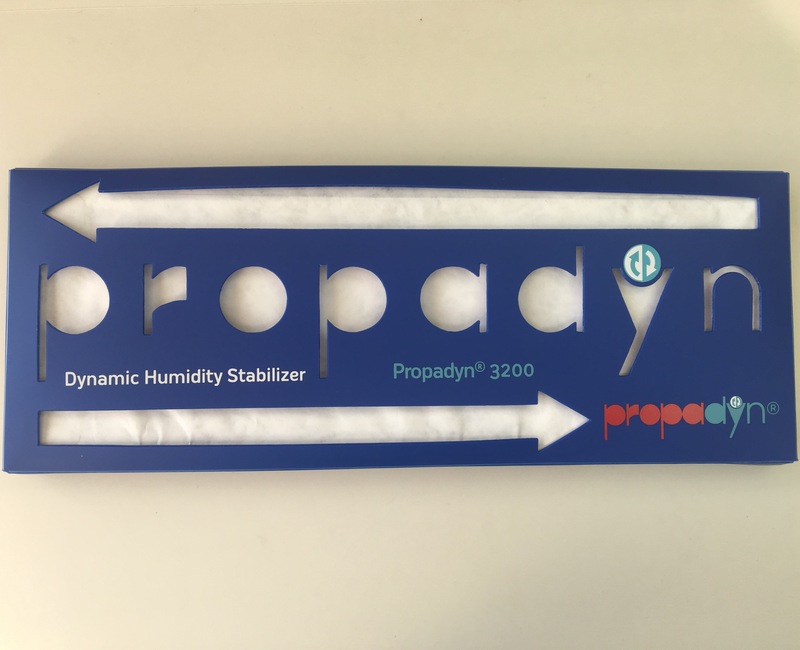 Moisture can be maintained by the Propadyn product at a specific value chosen by the customer, within the range of 30% to 80% relative humidity. The duration of the stabilizing effect can be extended for months or even years, depending on the needs or expiration date of the products. A product specially designed for humidity problems in closed habitable places: houses, basements, garages, caravans, cars, boats, cabinets, etc. It is used in places with little ventilation in which there is usually humidity due to some filtration problem, to the condensation or to any other reason that is generating moistother reasons. 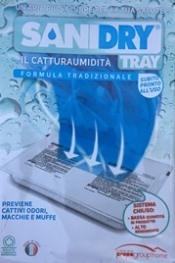 The Sanidry product allows to absorb that unpleasant humidity leaving the spaces dry. It is presented in trays with calcium chloride in the interior (it is the desiccant product) and covered with a membrane that does not let the liquid that will form in the interior pass. It must be replenished as soon as the tray is full of water, pouring the liquid from the inside into the toilet.